Many people will relocate to a new area within their current metropolitan area from time to time. This may be to upgrade or downsize, or it may even be to move an area with less crime or a shorter commute to work. Some people have more substantial relocation plans in mind. If you are preparing to move to another state soon, you may be feeling stressed by the seemingly monumental task in front of you. The good news is that you do not need to tackle the full project head-on on your own. The first thing that you need in order to relocate to a new state with less stress and hassle is a plan. 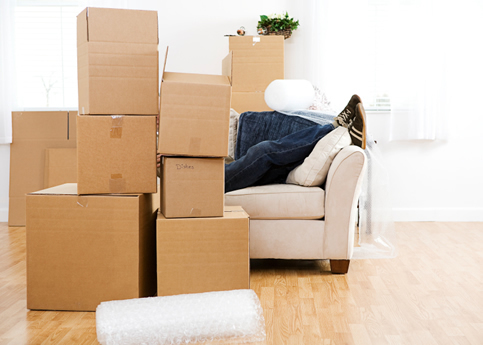 Your moving plan should include a budget that is researched and based on actual expenses. It also should include a to-do list that is itemized with tasks to complete by the day or by the week. Most people find that it is easier to relocate when they prepare in small steps over the course of several weeks or months rather than wait until the last minute to tackle all of the tasks at once. When you are moving to a new state, there is a good chance that you may be unfamiliar with the community that you are relocating to. You may not know anything about traffic patterns, crime, schools and other factors that are essential to your decision about where to live. Hiring a real estate agent who is familiar with the area is a great step to take. Real estate agents can help you to find the right home to purchase or to lease in a desirable area that lives up to your high expectations. Hiring a moving company is a beneficial option for some people, but it is a necessity for others. After all, you may not have the time, energy or brawn required to move all of your belongings into your new home. While you need to book an interstate moving company at least a month or two ahead of time, you should not make a hasty decision about who to hire. Take time vetting the options so that you have the full support of a quality moving team helping you when the big day arrives. Relocating to a new state can be incredibly stressful and exhausting, but you do not need to make the process more challenging than it needs to be. When you have these resources at your disposal, you may enjoy being able to successfully move to a new state with minimal stress and anxiety.